With St. Patrick’s Day coming up, here’s a whiskey FAQ. I’ve learned a little about whisk(e)y here and there but if I knew nothing, this is what I’d want to find out. Q. Is it spelled “whiskey” or “whisky”? A: Both. Thought not always the case, the general rule is this: Americans and Irish people spell it with an “e”. Canadians, Scots, Japanese, Englishpeople and the Welsh drop the “e”. Q. What’s the difference between Whisk(e)y, Scotch, Rye and Bourbon? Aren’t they all the same thing? Q. What re the types of whiskey/whisky? Of Tennessee whiskey (e.g.Jack Daniel’s), Wikipedia says, ” The main difference defining a Tennessee whiskey is its use of the Lincoln County Process, which involves filtration of the whiskey through charcoal. In practice, it is essentially identical to bourbon whiskey.” Tennessee whiskey is defined as Bourbon under NAFTA and in Canada. You can read more about the American whiskey regulations here. American Rye and Canadian Rye are not the same. What’s the difference between Rye and Bourbon? What about Canadian Rye? Rye is known for imparting what many call a spicy or fruity flavor to the whiskey. Bourbon, distilled from at least 51% corn, is noticeably sweeter, and tends to be fuller bodied than rye. 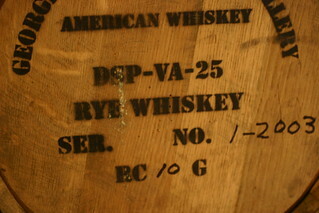 Due to its distinctive flavor, American rye whiskey is sometimes referred to as America’s equivalent of an Islay whisky. As bourbon gained popularity beyond the southern United States, bartenders increasingly substituted it for rye in cocktails like Whiskey sours, Manhattans, and Old Fashioneds, which were originally made with rye. All other things being equal, the character of the cocktail will be drier with rye. Rye Story: When Jay and I were down in Memphis two summers ago we went to a Canadian-themed bar on Canada Day. We ordered “Caesars with Rye”. The waiter knew what a Caesar was but returned a few moments later and quizzically asked, “You mean, ‘Canadian Whisky’?” Try your caesar with rye. You won’t want to go back to vodka caesars. …when the good ol’ boys were drinking whiskey and rye in American Pie, they might have been drinking the same thing, or not. What’s difference in flavour between American whiskey and Scotch whisky? Essentially the flavor is coming from the cask. With bourbon, for example, the first impression would be some fruity-type notes, which have come from the whiskey being matured. Then there’s this very distinctive sweet woodiness. A fascinating tip from that interview: To determine the flavours present in a whiskey, you can drop a bit into your palms and rub them together until the liquid evaporates. The scents that are left behind will give you an idea of what ingredients were used in the whiskey’s creation. If you watch the TV show Scandal you’ll know why every time I think the word “whiskey” I hear Guillermo/Huck’s awkward voice.